2018 looks good on you! The thing is, I’m also a total and complete sucker for that special, singular, positive momentum that only the new year can usher in. While some people like to broadcast their resolutions enthusiastically, others prefer to remain private about what they’re really hoping to change in 2018. As in, “I don’t really do resolutions, ” while secretly hoping to launch a business, start dating someone special, begin working on that one passion project, etc. Whichever category you fit into, here are 3 tips to stay on track and ride that fresh, energetic wave that only the new year can bring. Now lets all make Oprah proud and get on with them. Only you know what’s really important to you and what really impacts the quality of your life. A big difference could be something as small as making sure your coffee is in the filter and ready to go the night before so that you can start your day in a less hurried, more peaceful state of mind — or that you actually put your laundry away after finishing it, instead of leaving it in a clean pile somewhere in your home. The best leaders don’t rigidly stick to an initial plan when it’s not working, especially as they gain new information about what might be more effective. Know what the best leaders do? They adapt. That’s right, I put it in bold — being able to adapt is incredibly (bold-worthy) important. 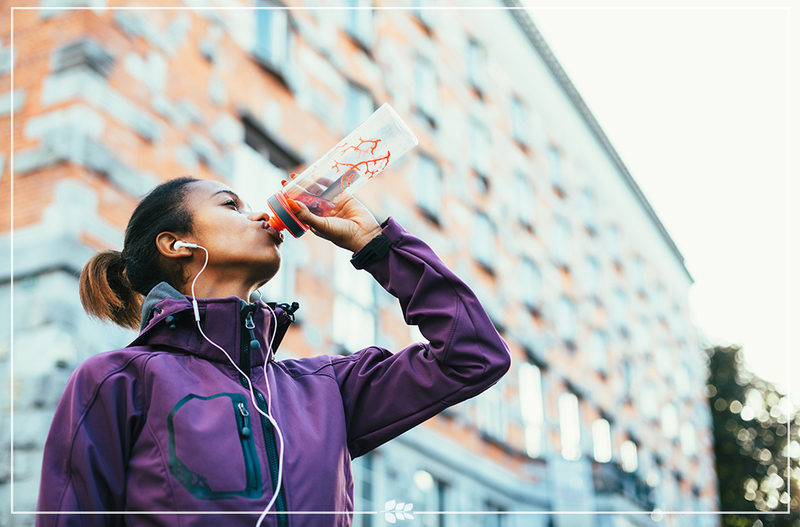 As you lead yourself into a healthier you in the next few weeks, you may need to adjust your resolution to better fit your lifestyle. Adapting your goals to be more manageable isn’t a big deal or a prelude to your impending failure, so don’t even start with all that negative self-talk. It’s common for people to underestimate the challenge to consistently behave in a new way for days upon weeks upon months. It’s okay if you need to tweak your resolution. A number of professionals in the helping field, including myself, fitness pros and the entire American Counseling Association all say the best advice is to set yourself up for success by making your goals easier at first; it’s a smart and often highly effective strategy. So remember, you’re the boss of this effort — if you know you need to adapt your goals, trust your instincts and lead yourself towards a more effective strategy for change. Relapses are steps back after a period of improvement, and they happen to everyone. Managing your expectations from the go and understanding that a relapse is highly likely to occur helps to buffer the crushing disappointment when you do, in fact, mess up your goal. Successful strategies for change have a relapse plan, so consider getting one yourself. Do you just stamp yourself a failure at making positive changes and immediately start trolling your local delivery spots for those yummy fried spring rolls you like to depression eat? That would be a real shame, because no one changes perfectly. You’ll mess up, so make a plan to get back up. Perhaps you need more support or a stressful distraction needs to have tighter boundaries around it, asap (cue whip sound). Decide right now how you’ll deal with discouragement and regression, and you’ll be just fine. Katherine Schafler is an NYC based psychotherapist, writer and speaker. For more of her work, join her newsletter community, read her blog or follow her on Instagram.